By Jason Del Rey . Published on January 23, 2013. Apparently, Gawker Media is serious about its e-commerce business. 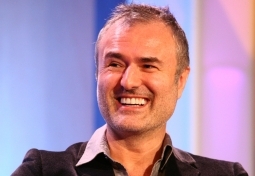 In a memo to his employees today outlining some business-side promotions and departures, founder Nick Denton said Gawker Media should bring in at least 10% of its revenue this year from e-commerce. As a result of the growing importance of the business, the company is moving business development exec Erin Pettigrew into a new position focused solely on building e-commerce, according to the memo. It's a brand new thing that merges writing and product curation. Most importantly, it adds value to our readers' lives. So commerce content includes everything from posts about the cheapest deal on something our readers need to introducing them to new things they've never seen. It's a new type of service journalism. And yes, we generate revenue when products sell. "[T]he real question is how you select and package the affiliate links -- and how much reach you can get for them," Mr. Denton said in a G-chat conversation. "We've had some very promising early tests. Thirty-thousand dollars in a single day in commission on a web hosting deal." The company is working on ways to show past posts that have generated high revenue through affiliate links to readers who haven't yet seen them, Mr. Denton said. The memo also told staffers that Gawker Media is looking to grow revenue 40% this year, which would be up from the 26% increase in 2012. Mr. Denton declined to disclose total revenue. Another notable shift: Former Jalopnik Editor Ray Wert, who earlier this year took the reins of Gawker's sponsored post business, is leaving to launch Tiny Toy Car, which Mr. Denton said will be a marketing-services firm serving the auto industry. If the company's description on Facebook is any indication ("When a child looks at a tiny toy car, all he sees is a story. When we look at a real car, we see the same thing"), the company will likely focus on content marketing for auto marketers. With Mr. Wert leaving, No. 2 adman James Del will take over day-to-day oversight over the content marketing business. He'll also run the advertising design team. Lastly, Andrew Gorenstein, the company's chief advertising officer and a recent honoree on Ad Age's 40 Under 40 list, is getting a new title: chief revenue officer. He'll continue to run ad sales, as well as the growing content-marketing and e-commerce businesses. You may have seen this: Andrew Gorenstein was included in Advertising Age's 40 under 40. It's refreshing to see on this list of rising stars an executive with real sales chops and impeccable management instincts make the magazine's list of rising talent -- rather than the usual self-promoters. But we have a more prestigious award to give out: our own respect and recognition. Andrew has put in place the strongest ad team in Gawker Media's history and competitive set. It melds both the professionalism of the experienced hands who have joined in the last 18 months and the raw talent of the Gawker-born. Since the two parts gelled in the second quarter of last year, Gawker Media's advertising business has surged. We have more business coming in than we can service. It's a good problem to have -- and one that we will fix this year with the Kinja platform and the ad offerings around it. We're reaching for 40% revenue growth this year, an acceleration from 26% in 2012. We had six clients spend over $1m with us last year. Andrew's new threshold is $5m. In recognition of Andrew's success, he is being promoted to Chief Revenue Officer, responsible for traditional advertising, our content work for clients and the exploding e-commerce business. The second switch in the group: James Del is promoted to executive director, running the content, design and events. As you know, James joined Gawker Media straight from NYU. His ascent should underline a company principle: that merit rather than seniority should determine position. Another native of Gawker, Erin Pettigrew, will lead the development of Gawker's e-commerce business, which is expected to produce at least 10% of revenues this year. She's hiring! Send your friends a link to the Jobs page. Ray Wert, longtime editor of Jalopnik, is leaving to start a new business providing marketing services to the auto giants that he knows so well. The company is called Tiny Toy Car. We will be the adorably-named venture's first publishing partner. Another bittersweet departure... Julia Schweizer stayed with us until the Christmas party and CES entertainment were done, as impeccably as always. But that's it: she'll be running marketing for Nitehawk Cinema in Williamsburg. The media industry just had Julia on loan. She's pursuing her passion. As Julia said, "it's time." Expect to see Nitehawk become a default location for Gawker parties. I'm going to save any further gushing for the farewell party, Julia's final mission.